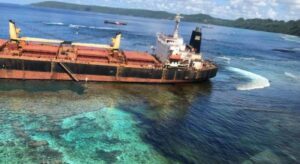 Ship grounding accidents are mostly caused by human errors, sometimes by inadequate information related to the port or because of unknown coral reefs and rocks. Maneuvering inattention and improper navigational operations should be listed as the most usual root causes of major ship grounding accidents as well. While, faulty navigation instruments, bad weather conditions or an engine breakdown, can also lead to unintentional groundings or stranding. Such accidents effect on both the ship and the environment, but the worst scenario is to lead in the loss of human lives. 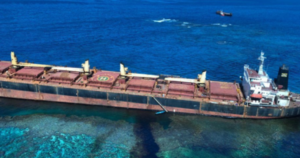 This article underlines the seriousness of unintentional ship grounding. The term ‘unintentional grounding’ in shipping describes the accidental impact of the ship on seabed or waterway side. However, grounding can also be intentional in order to land crew or cargo (beaching) or to conduct maintenance or repairs (careening). Intentional grounding demands very careful maneuvering and high navigational skills, as any misunderstanding or wrong decision may lead to unfavorable situations. Nevertheless, it is the unintentional grounding that we must pay more attention and operators should ensure that crew members are aware of the emergency actions that should be followed in such cases. A bulk carrier, laden general cargoes of plywood & steel products, left from Lianyungang, China on 30th June 2013 bound for Busan, Korea in order to load some more steel cargo shipment. Subsequent dates, the vessel approached to southern out-harbor anchorage on 2nd July 2013. As passing harbor limit of Busan, Master came into bridge in order to proceed to Busan harbor anchorage to drop anchor with the bridge team. The vessel passed to Busan VTS limit with her course 356 degrees and her speed 11.5 knots, and reported to VTS center and then was instructed by VTS to drop anchor at N-4 anchorage upon arrival. When the vessel approached to N-4 anchorage with maneuvering speed and course, it was found to be too crowded around the N-4 anchorage and Master requested VTS to re-allocate another anchorage and in turn VTS instructed the vessel to drop anchor N-5 anchorage with keeping 4 cables distance to other vessels. Approaching to the N-5 anchorage, the Master ordered to stand by 4 crews, on forecastle deck for dropping anchor operation and reduced speed. 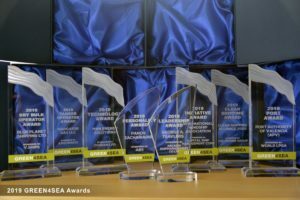 However, when the vessel arrived at N-5 anchorage, the Master found the intended anchoring position to be also crowded with nearby 4 vessels being too close and encountered with rough sea, wave and poor visibility. The vessel proceed to find another anchoring position at outer area in N-5 anchorage where is strong current from south, the VTS urgently instructed the vessel to alter starboard direction by VHF but the vessel went aground on rocks of Saeng-Do(Island) off Yong of Busan. The vessel dropped anchor chain and found double bottom ballast tank to be flood. Master reported the situation to VTS center and requested tug boat for rescuing. The crew left the vessel. 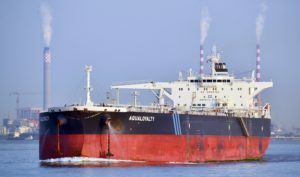 A few days later the vessel was broken in two pieces in way of No.4 cargo hold and stern section remained aground at the same position and her fore section completely submerged in water. Modern thinking about “human errors” is that accidents and incidents are not caused by “human errors” it is just the final consequence of deeper trouble inside an organisation. The term “human error” is pointing fingers towards people operating the vessel and not considering that there were many contributing factors affecting the outcome outside the control of the operators. Please read “The Field Guide to Understanding “Human Error” by professor Sidney Dekker.